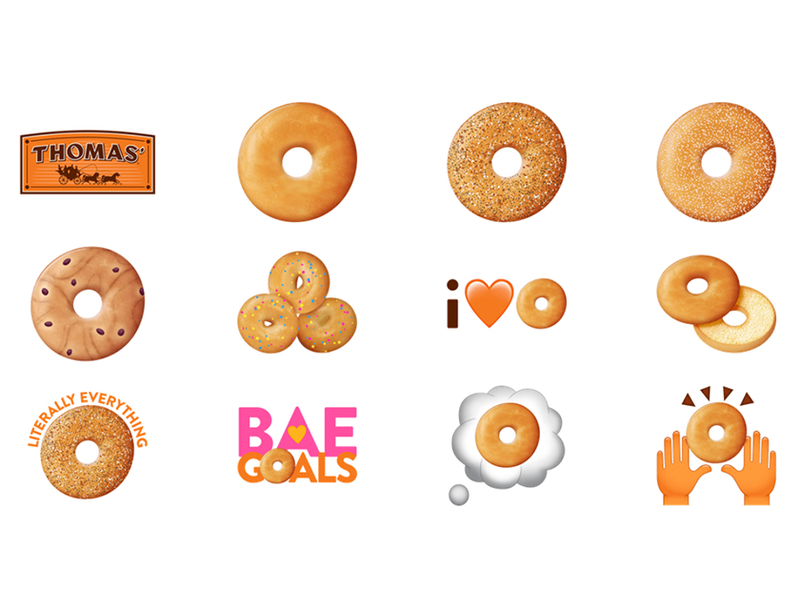 In celebration of National Bagel Day Feb. 9, Thomas’ Bagels launched a free emoji keyboard application on iOS and Android. At launch, the Thomas’ Emoji Keyboard app features more than 30 breakfast-themed emoji, including multiple kinds of bagels and English muffins, as well as emoji containing phrases like “Literally Everything” (featuring an everything bagel). As a branded keyboard, the emoji set also includes the Thomas’ logo and a “nooks & crannies” emoji, which is related to the company’s English muffins. A planned app update on National Bagel Day will add 12 more emoji to the keyboard. Users can share these emoji with their contacts through text messages or paste them into the text field in other apps, like Facebook. Users can share one emoji at a time or combine multiple emoji into a single image that can be pasted and shared. The Thomas’ Emoji Keyboard is available to download for free on the iTunes App Store and Google Play.